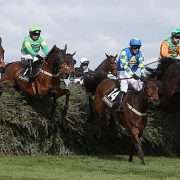 With only days to go until the 2019 Grand National, all sights are firmly set on Aintree. Trainers are working on last-minute preparations for their runners and jockeys are already getting booked on their rides. A favourite last year, Blaklion is impressing his new trainer Phil Kirby. Blaklion, who was fourth in 2017, was brought down at the first fence in 2018. Bought by new owner Darren Yates for £300K last month, connections are delighted with his progress so far. The 10-year-old joined his trainer for a workout at Wetherby on Tuesday and was ridden around the track by his usual Grand National partner, Sean Quinlan. 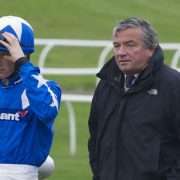 Kirby said: “We came for a strong canter, we weren't trying to win any races. We tried not to do too much but enough to get a nice blow into him. With the weather set to dry up, the going at Aintree should really suit Blaklion. And in terms of value for money, he is best priced at odds of 50/1 so anybody who wants to make the most of their free bets for Grand National could do worse then considering Blaklion. The betting market might be tight at the top but there are still plenty of contenders on decent odds that are worth considering. Another of those is Vintage Clouds. Owned by Trevor Hemmings and trained by Sue Smith, both of whom have previously won the Grand National, age Clouds just needs five more to defect from the race to be guaranteed a spot at the the starting line. 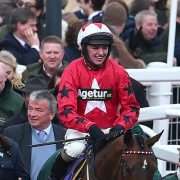 Odds on him have been steadily dropping but none more so than after he finished second at the Cheltenham Festival in the Ultima Handicap Chase. It was a sterling performance from the nine year old chaser and had that race been just a few furlongs longer, he would have almost certainly won it. He kicked into gear on the run-in and looked unstoppable. As a result his odds dropped from a general 25/1 to as low as 12/1. But even then, that is still very good value for a runner on such terrific form. Speaking after that epic race, trainer Smith said: “We are absolutely delighted with him. West Yorkshire trainer Sue Smith has her sights set on a second @RandoxHealth Grand National victory, this time with the Trevor Hemmings-owned Vintage Clouds. A horse that is most definitely on form, he was third in last season’s Scottish Grand National, over four miles, so his stamina is also unquestionable. And as a grey, he will certainly have his fair share of fans on the day. It also looks like he will be ridden by jockey Danny Cook if he makes the cut. In other trainer news, David Pipe still has four left in, though only three of them – Vieux Lion Rouge, Ramses De Teillee and Daklondike look set to make the cut. Of them Vieux Lion Rouge will be making his fourth attempt at the big race. Though he has never won it, he has always finished the race so it will be second nature to him in 2019. But it’s Ramses De Teillee that Pipe is most impressed with. Speaking to the Racing Post he said: “He doesn't seem fazed by anything. “The owners were thinking about this race next year but he's 5lb well in. He seems to stay and he has a high cruising speed. The most obvious problem with him is that he is only seven years old. Horses that young don’t tend to fair very well in the Grand National. The last horse of that age to win was Bogskar in 1940! But trends don’t last forever and if you fancy Ramses De Teillee, his general odds are 25/1.